As a country, we here in America are doing better about getting very fast and awesome foreign cars than we were, say, 10 or 20 years ago. You can buy a Ford Focus RS and a Civic Type R here now. This wasn’t always the case! 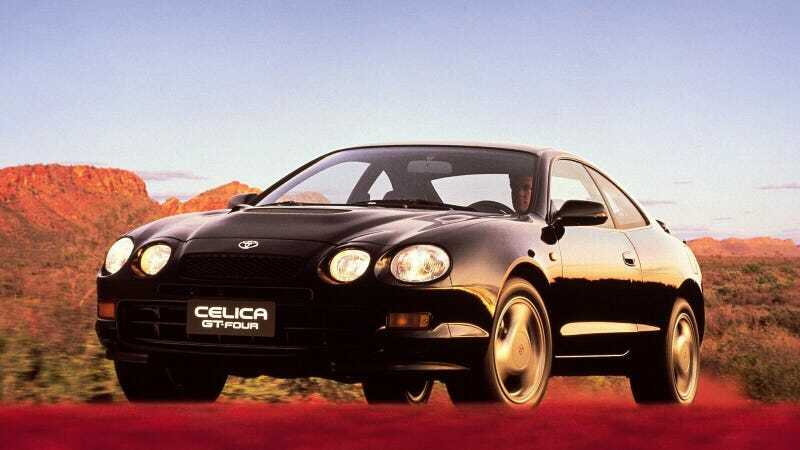 Wind the clock back and you’ll find one of my favorites pieces of forbidden car-fruit: the sixth-generation Toyota Celica GT-Four. The Celica was always sort of a weird animal. It wasn’t a singular idea, so much as it was a name that got stuck on whatever coupe Toyota thought was sporty in a general and affordable sense at the time. It began as a rear-wheel drive, four-cylinder Ford Mustang knockoff, then got two extra cylinders that begat the Celica Supra, and then that car split off to do its own thing, and then it went front-wheel drive, where it stayed through its somewhat underpowered discontinuation in the mid-2000s. The ST165 Celica. We got this one. Not the later one. Along the way, however, the Celica decided it wanted to be a rally car. Several times, in fact. It was actually quite good at this as well, and customers benefitted too. After it went front-drive, in 1986 the Celica got a turbocharged, all-wheel drive, performance car variant called the GT-Four. This variant was carried over to the later and curvier ST185 Celica, and we in the U.S. got both of those cars as the Celica All-Trac Turbo. They were cool cars; you can think of them as kind of like the Subaru WRX of their time. What we did not get, however, was the GT-Four version of the ST205 Celica of the 1990s. Here in America by then, the Celica was pretty much committed to being a pedestrian front-wheel coupe or convertible that looked nice but wasn’t much to write home about. There’s a reason people don’t hold those in the same regard they do the Honda Prelude and Acura Integra, for example. This was not the case in other markets! In Japan and Europe and other places, the ST205 Celica GT-Four was a rad machine, packing a 250 horsepower 3S-GTE 2.0-liter turbo four-cylinder engine (same as the MR2 Turbo of the day) and all-wheel drive. We’re still a bit away from being able to import these in America. 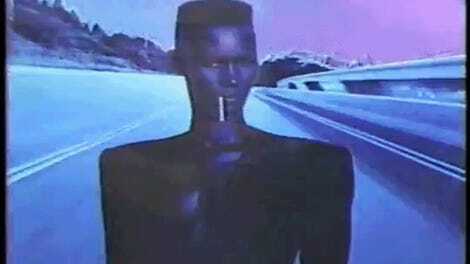 However, our friends in Canada can do so, and that’s what the subject of the latest Matt Farah One Take video did. Matt says if he could pick one vehicle to drive forever, it’d be a homologation rally special. And this one can be had for cheap—this owner got his last year for just $5,800 Canadian, and in addition to being super pristine, it has a host of performance improvements like Tein springs, a three-inch stainless steel exhaust and more. It sounds mean, it looks really good, and moves quite nicely. It is a shame America never got these. When we can legally start importing them, let’s get to fixing that.